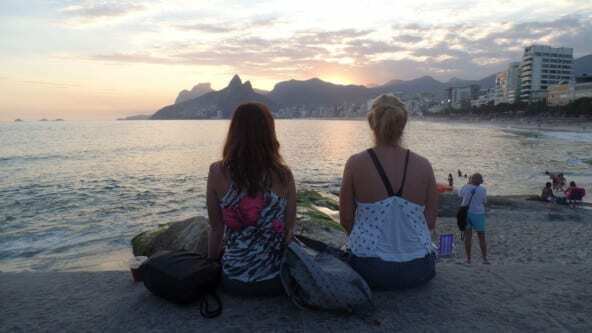 Students enjoying a beautiful sunset at Arpoador! Guanabara Bay has a few different military points that years ago were used for safety. One of them is Forte de Copacabana. Forte de Copacabana is more than just a military base! It sits at the south end of the beach that defines the district of Copacabana, Rio de Janeiro and provides us with amazing views. From there you can see all of the beach of Copacabana, Forte do Leme, the Sugar Loaf and even the city of Niterói. If you are interested in history, the base is open to the public and contains the Museu Histórico do Exército (Museum of Army History), but if relaxing is what you are looking for, then you should definitely grab a bite and perhaps a drink at the new confectionery that Confeitaria Colombo opened there, you’ll be right next to the sea. On this RioLIVE! Activity we will take a nice walk around the fort where we can enjoy history, the beautiful Guanabara Bay views, take amazing pictures together as well as speak Portuguese. We will hear some interesting stories about the place as we explore all of its surroundings. Watch a beautiful sunset at Arpoador. 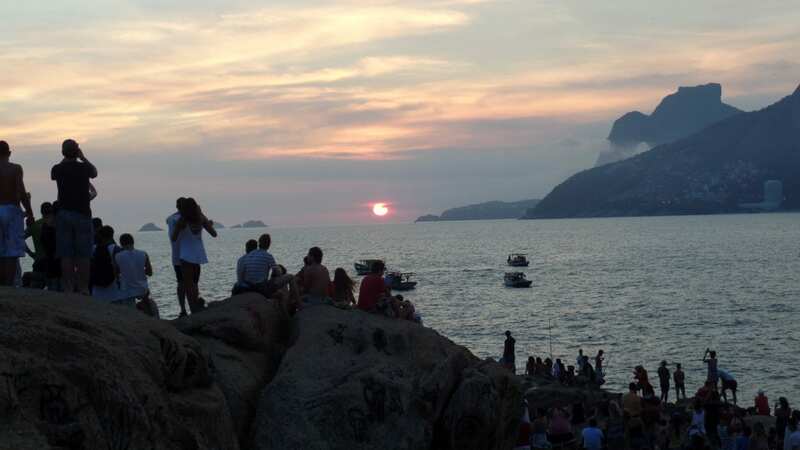 After visiting the Forte de Copacabana we will go to Arpoador to watch the sunset (pôr-do-sol). Arpoador is located close to the beginning of Ipanema beach, right between Ipanema beach and Copacabana beach. We will go there to see the rocky peninsula and all of its surroundings. Since it is located at the very edge of both neighborhoods, we will be presented with breathtaking views of Praia do Diabo, Ipanema, Copacabana, the morro of Dois Irmãos, and of course the open sea. 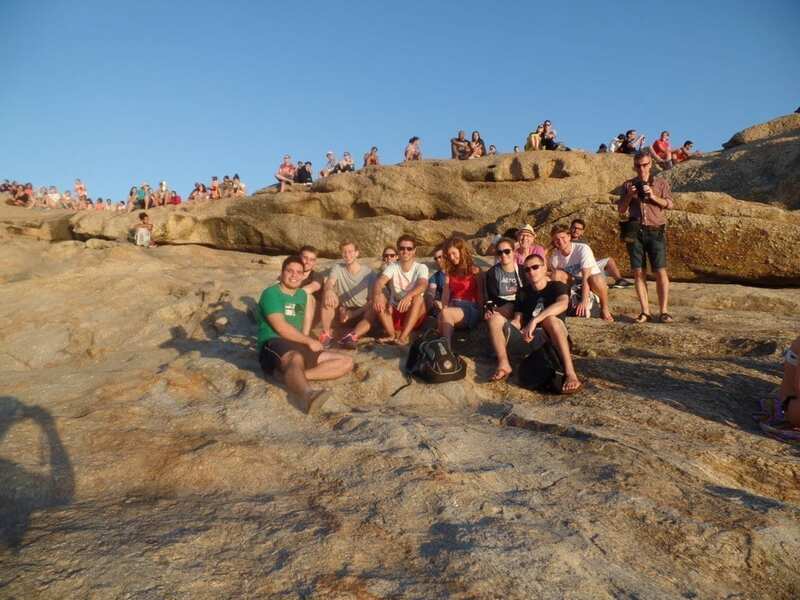 After that we will sit together, relax, chat in Portuguese and await the beautiful sunset with other Cariocas around. Once the spectacle is over, we will join Cariocas applauding this natural beauty. You simply cannot miss this opportunity!